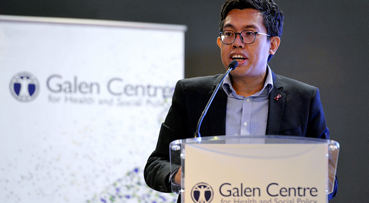 Galen Centre for Health and Social Policy have cautioned the Pakatan Harapan government against suspending giving out free innovative drugs to treat cancer and rare diseases which accompany the Patient Access Scheme (PASc) . In a press statement, the NGO said that these PASc programmes provide expensive new medicines mostly unavailable through the Malaysian public healthcare system and play an important role to fill existing gaps in treatment. Its chief executive Azrul Mohd Khalid also pointed out that Malaysia is classified as an upper middle income country and is not qualified for the lower prices normally offered to lower income economies while not increasing the funding allocation for such medicines. “We support the Ministry of Health's efforts to build and ensure a clean civil service which is accountable, transparent and patient-centric. “However, these free drugs are not and should not be equated to bonuses, gifts or paid holidays meant as incentives which run afoul with the ethics and integrity code of conduct,” said Azrul Mohd Khalib. He pointed out that by suspending these vital free medication, the Pakatan Harapan government's decision runs contrast to its election manifesto promise on increasing allocations and incentives for private companies and welfare bodies to treat rare diseases ― especially among the poor. “This suspension runs counter to that pledge and has real potential to harm to these communities. We call for the Ministry to reconsider this suspension,” he said.